We are Toni Harman and Alex Wakeford. 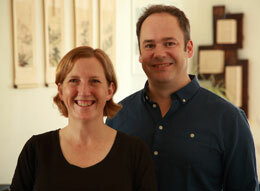 We met at the London International Film School over twenty years ago and we’ve been making films together ever since. We started out making factual programmes, documentaries, adverts and short films. We then progressed to making our first feature film together (a psychological thriller called CREDO / which was released as THE DEVIL’s CURSE by Lionsgate in the US). It wasn’t a straight-forward birth – after four failed inductions, Toni ended up with a C-section and she struggled to breastfeed. This was before we knew anything about the politics of birth and way before we had heard of (and met) amazing people like Ina May Gaskin or Sheila Kitzinger. Our daughter’s birth sent us on a different filmmaking path. We started making films about childbirth under the banner of ONE WORLD BIRTH. We travelled thousands of miles around the world to talk to some of the most inspirational thinkers in the field of childbirth: Ina May Gaskin, Sheila Kitzinger, Michel Odent, Robbie Floyd-Davis, Debra Pascali-Bonaro to name but a few. To date we must have filmed hundreds of midwives, doulas, obstetricians, perinatologists, neonatologists, psychologists, authors, scientists and human rights lawyers. 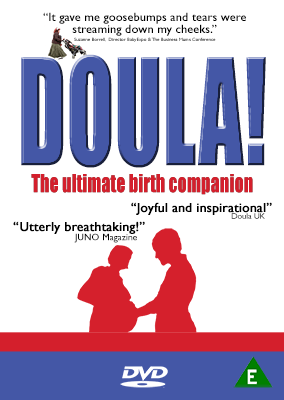 In 2010, we made DOULA! – a 60 minute documentary following three birth and postnatal doulas as they gave practical and emotional support to women and their families. In 2012, we made FREEDOM FOR BIRTH – a 60 minute documentary telling the story of how a Hungarian mother, Anna Ternovszky, took her country to the European Court of Human Rights to win the right to choose where and how to give birth. We were inspired to make the film by the injustice happening to Anna’s home birth midwife, Agnes Gereb, who had been imprisoned and at the time of filming was under house arrest and facing multiple criminal charges (and even today, four years later, Agnes is still facing multiple charges). 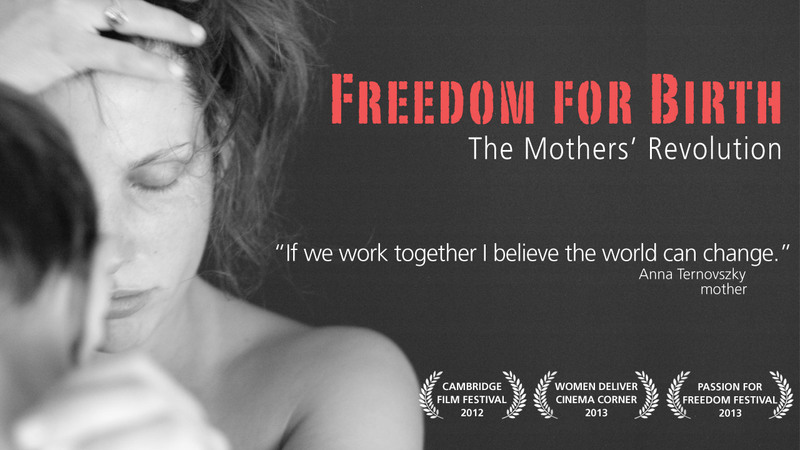 We launched FREEDOM FOR BIRTH on September 20th 2012 with over 1000 public screenings in 50 countries in 17 languages. The film helped establish Human Rights in Childbirth as a global movement. In 2014, we released MICROBIRTH, a film exploring the latest science about why vaginal birth and breastfeeding is so critical for a baby’s lifelong health. The film shows how common interventions during birth including antibiotics, C-sections, and formula feeding interfere with, or bypass completely, the crucial microbial transfer from mother to baby that seeds the microbiome and kickstarts the immune system. Babies born by C-section, for example, are at significantly higher risk of developing certain non-communicable diseases, including asthma, type-I diabetes, celiac disease, and obesity. After the release of MICROBIRTH, we were inundated with requests for more information. It seemed that parents and birth professionals wanted access to the latest science, but the information available in published papers and journals were difficult to access and difficult to understand. That’s why we wrote the book – to present the latest science about the microbiome and epigenetics in an easy-to-understand accessible form, complete with QR codes linking to interactive short videos (we are filmmakers at heart after all). Now we’re on a mission to produce educational resources to help birth educators and other health professionals understand how to best protect the infant microbiome. We want information about the microbiome and epigenetics included in all parent classes and discussions. To this end, we have created some continuing education and professional development online courses. Meanwhile, we’re working on our next film – due for launch in 2018, all about what practical things that can be done from birth onwards to establish, maintain, protect and restore the microbiome for optimal human health.